Read the first part of The Intuitive Path here. In the case of choosing to marry my future wife, the intuitive message that I made the right decision, was the immense sense of comfort in her company, which proved to be both mutual and lasting. This year we’ll be celebrating our twelfth wedding anniversary and by now we can confidently call ourselves a well seasoned couple. Cheryl and I have lived in not entirely voluntary modesty since we first met and while we might have had a perpetual difficulty meeting the society-implied standards for the bottom line, we have always had each-other. The single greatest support when odds were against us. Not only have we had a deep understanding and profound love for each-other, but we have nurtured common dreams of living close to nature. Because it instinctually felt like a fail-proof ambition, we decided to follow through and do it uncompromisingly. Not for egoistic reasons, but for the immediate realization that a consequently nature-informed way of life has to benefit not only ourselves and fellow human beings, but nature as a whole, animate and inanimate. When some seven years ago the two of us toured the countryside in search for home and came across our future homestead as a place for sale, we let – again –, that already familiar great sense of comfort and arrival be the decisive factor, not the visual (un)appeal of five buildings all in different stages of dilapidation, the land managed with conventional, soil-disturbing and soil-depleting methods, or a murky pond. We felt like children who just set their feet on the most exciting playground they had ever been. Locals eventually told us we overpaid, but we considered it a possible dream come true and didn’t even negotiate. Was it not for the maturity of our relationship with my wife after nine years of “together” and “we”, was it not for separating from the selfish “me”, we would probably not have been able to provide our daughter, Csermely, with such a truly awesome arrival as we did: in the intimacy of our home and facilitated by no one else but her mother, her father and herself. Yes, it also took cutting the mental umbilical cord with customs and following instead trust in evolutionarily encoded capabilities, such as that of a healthy mother being entirely apt for giving life to her healthy offspring or – from the offspring’s angle – the healthy child wanting and being able to squeeze herself through the exhilaration of birth. From my fatherly perspective, in this same framework I had to and wanted nothing more than to subject to the unrelenting patience needed and give the best I could of my inherent helpfulness. Relative poverty taught us more. Taught us to take good care of our own health – in fact much better care than any “solidarity” based conventional state healthcare system would. Taught us resilience and reliance of nature’s pharma. This also felt a very intuitive direction to take, however it does come along with informing ourselves and cross-referencing the information in the wider and wider pool of knowledge. In fact having to turn around on a dime augmented an avalanche of life changes. Showed us how much less than we had imagined is actually enough to be happy with. Helped us understand that we ought to let go of physical and cultural inheritances that are incompatible with a sustainable future, the new culture that we (and you, dear reader) have to bring alive. Along this same way, we rethought our nutrition. Keeping our minds and digestive tracts open for diverse and only real foods, we virtually shut the passed down cook books for good – for better. It only felt natural to shed our synthetic and synthetically altered natural garments off next. That’s where you would find us in real time: me sewing my hemp rope shoe soles, Cheryl knitting her new wool vest and Csermely proudly modeling the latest handcrafted garments her parents fashion. I find these kinds of ambitions healthy spirited. Don’t you? Yet I feel the need to mention that it is precisely here, where legislature of both totalitarian and democratic political systems have a real shortcoming. If one’s healthy spirited desires do not meet the alleged interest of a majority (by laws, traditions, etc. ), the individual and her dream is subject for squishing or labeling, which is hugely unjust toward the dignity and self fulfillment of that individual – let’s not forget that society as a whole also consists of individuals. Never mind, we are and will be here to show humble example of just how much listening to our hearts can accomplish. 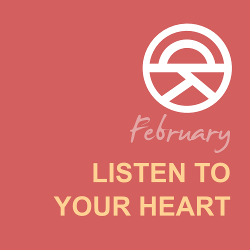 Join in and share the thoughts of your heart, too! We are eager to listen to its beat. Also, don't forget to Join us with Roland again on Thursday, February 28th to learn how to follow the intuitive path to a happy family. Roland Magyar is a thirty five year old husband and father, a sustainable life designer with holistic approach. You can read more from him and his wife on their simple living blog, or else converse with them on Facebook. Sometimes little steps are better than no steps at all, right? Thanks for stopping by. Great read, Sonia! Thanks for publishing Roland's take on life: and good luck to them all! Thanks, Isobel. 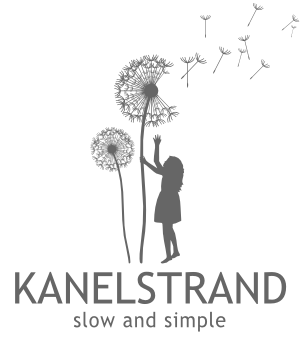 I am proud to have been able to feature Roland's writing and philosophy here on Kanelstrand.